Most of the ocean food chain is too small to see, but that doesn’t mean the effects of iron fertilization will be, too. “The purpose, if one is going to do iron fertilization, is to increase the amount of marine biology and to increase phytoplankton concentration,” said Andrew Watson of the University of East Anglia, U.K., speaking at a conference on ocean iron fertilization at Woods Hole Oceanographic Institution (WHOI) in September. But “there’s quite a range of things that are going to happen when you do that.” The desired effects—drawing down carbon dioxide from the atmosphere and sequestering carbon in the deep sea—are only two of the possible consequences, he said. Assemble a list of the ways iron fertilization might harm the ocean—as the Scientific Group of the London Convention did earlier this year—and it quickly becomes lengthy and distressing. The scientists’ concerns include side effects from the added iron itself, direct effects from plankton growing as well as decomposing, indirect effects on other nutrients cycling through the ocean, and unexpected physical effects from simply packing more plankton into surface waters. Previous studies of artificial and natural blooms have shown wholesale changes in the species that make up the two lowest links of the marine food chain—phytoplankton and the bacteria that feed on them—according to summaries presented at the conference by Philip Boyd of the New Zealand National Institute for Water and Atmospheric Research, and Stéphane Blain of CNRS/Université de la Méditerranée in France. The changes happen as the iron addition stimulates a race by organisms to capitalize on the resources of sunlight and nutrients. Starting conditions, including nutrient levels and pre-existing populations of plankton, affect which organisms win out. Changes at this level may determine what happens to populations of larger predators such as copepods, krill, salps, jellyfish, and fishes—but these specifics have not yet been studied, Blain said. There is the chance that the overall increase in food supply could improve the state of the oceans. Fish stocks, many of which have been suffering from decades of overfishing, might actually improve—an outcome that some private companies are banking on. But the fertilized waters might just as easily favor less-useful pathways in the food web, making more jellyfish or algae, especially harmful algal blooms that could have impacts on fish, birds, and even marine mammals up the food chain. Twelve iron-fertilization experiments conducted by scientists since 1993 have generated no such toxic blooms, but they have produced blooms of certain plankton species similar to organisms associated with harmful algal blooms. When a plankton bloom runs its course and the organic material that it produced sinks to deeper waters, the resulting bonanza of decomposition uses up oxygen in the water. Such anoxic conditions can cause significant die-offs of marine life, including fish, shellfish, and invertebrates, like the one that occurred in 2006 in the productive coastal region off Oregon, said John Cullen of Dalhousie University, Canada. Cullen predicted that years of large-scale fertilization of the ocean would result in more so-called “low-oxygen events.” But “we do not, and likely will not, have the capability to say how this may impact marine food chains,” he said. Another concern is the effect of iron fertilization on other dissolved nutrients in the ocean. 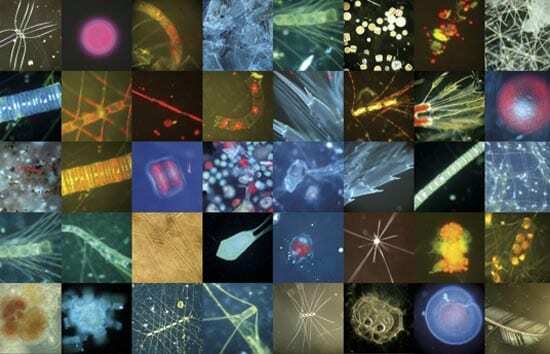 To grow, phytoplankton take in these nutrients, fixing them in their tissues. So they deplete surface waters not only of carbon (the desired effect), but also of nutrients that support all of the oceans’ food webs. The effects of such a package deal would be felt in adjacent waters as currents move along the fertilized water (minus the missing nutrients). More worryingly, the problem could reappear when these deeper waters recirculate to the surface, thousands of kilometers away and many years after any monitoring of the original iron fertilization had finished, Cullen said. These deeper waters would be depleted in oxygen and enriched in nutrients produced by decomposed particles from the iron-induced blooms. That would set the stage for producing more nitrous oxide and methane, two potent greenhouse gases that tend to form when organic matter decomposes at depth. According to Watson, a 1999 iron addition study in the Southern Ocean found that between 6 and 12 percent of the cooling effect from the iron addition was annulled by increased emissions of nitrous oxide. One way around the problem of nutrient depletion might be to fertilize low-nutrient regions of the ocean instead of high-nutrient waters, according to Anthony Michaels of the University of Southern California. In these areas, the aim would be to stimulate the growth of photosynthetic bacteria capable of producing their own nitrogen fertilizer from nitrogen gas, offsetting the nitrate depletion caused by other growing plankton. On the other hand, some phytoplankton also release the chemical dimethylsulfide into the air, Watson said. The resulting airborne particles cause small water droplets to condense around them eventually creating bright-white clouds that block incoming sunlight and help to cool the climate. In tropical regions, this aerosol effect can be even stronger than the gains from carbon dioxide reduction, though the net impacts on the ocean and climate are hard to predict. 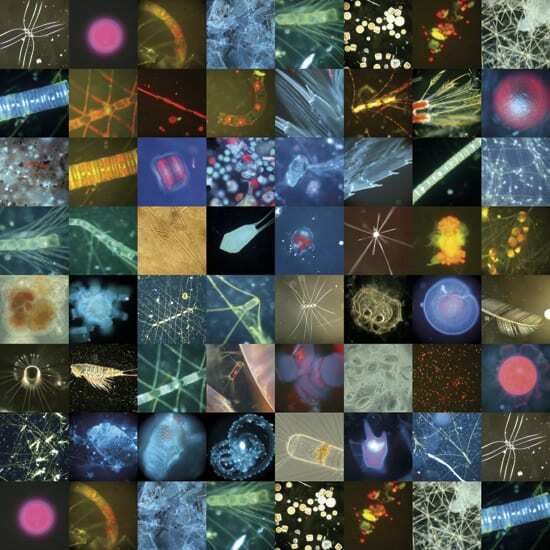 Beyond biological impacts, evidence suggests plankton blooms can affect the physical properties of surface waters simply by absorbing light and heat from the sun, Watson said. If fertilizations are done in shallow coastal waters, a dense layer of phytoplankton clouding the top 30 meters or so of the ocean could hinder corals, kelp, or other deeper sea life from carrying out photosynthesis. By absorbing sunlight, plankton blooms could also heat up surface waters, Watson continued. That would lead to higher atmospheric temperatures and further global warming. Warmer surface waters would also curtail the effectiveness of iron fertilization because water holds less dissolved carbon dioxide as it warms. With less heat penetrating to depth, the oceans’ top layer would become shallower. That would reduce the total volume of ocean water that regularly comes into contact with the atmosphere, diminishing air-sea exchange of carbon dioxide. Warmer water is also less dense, so the oceans’ top layer would mix less readily with colder, deeper waters, while horizontal surface currents would be altered. “You’d have to figure that in to the net effect” of an iron fertilization, Watson said. “You may be taking up carbon because you’re enhancing the biological flux, but you’d be decreasing it because you’re tending to stratify the ocean and slow its overturning.” Watson cited a global climate model suggesting that if fertilization were to double phytoplankton in the Southern Ocean and the equatorial Pacific, physical effects could inhibit the amount of carbon sequestered in the deep by 100 million tons per year. Two major, intertwined uncertainties still hang over the issue of iron fertilization’s effects. First is the question of how big an iron addition can be without causing environmental damage. No ill effects have yet been observed after 12 small-scale experiments, and even the larger experiments now under consideration are still likely to have their effects dissipated in the oceans’ vastness. The second concern is that some of the effects, such as the resurfacing of nutrient-depleted, low-oxygen waters, appear years after an experiment. In the short term, this complication could make iron fertilization seem artificially successful, encouraging more participation by industry and aggravating the longer-term impacts. Despite philosophical differences of opinion about how much could ever be known, the prospect of new, carefully monitored research experiments seemed acceptable to many at the WHOI conference. In proposing such an approach, Margaret Leinen, chief science officer of the firm Climos, compared small-scale iron fertilization with wind-farm construction, citing models that predict drastic effects on rainfall should wind farms be built throughout the Northern Hemisphere. The Ocean Iron Fertilization Symposium: Some 80 natural and social scientists from several countries—along with environmental advocates, business representatives, policymakers, legal experts, economists, and journalists—gathered at Woods Hole Oceanographic Institution (WHOI) on Sept. 26-27, 2007, to discuss the pros and cons of ocean iron fertilization as a means to mediate global warming. 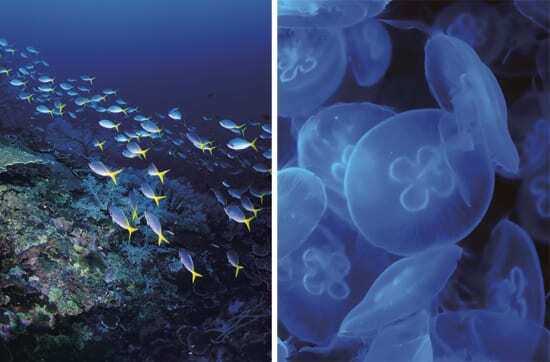 This series of Oceanus articles summarize the wide range of issues raised at the conference, convened by WHOI scientists Ken Buesseler, Scott Doney, and Hauke Kite-Powell. They reviewed and edited these articles, with input from many conference participants. All the articles in this series will be published next week in a print edition of Oceanus (Vol. 46, No. 1). Videos and PDF versions of presentations at the conference are available at http://www.whoi.edu/conference/OceanIronFertilization. The symposium was sponsored by the Elisabeth and Henry Morss Jr. Colloquia Fund, the Cooperative Institute for Climate Research at WHOI, the WHOI Marine Policy Center, the WHOI Ocean and Climate Change Institute, the WHOI Ocean Life Institute, and Woods Hole Sea Grant. 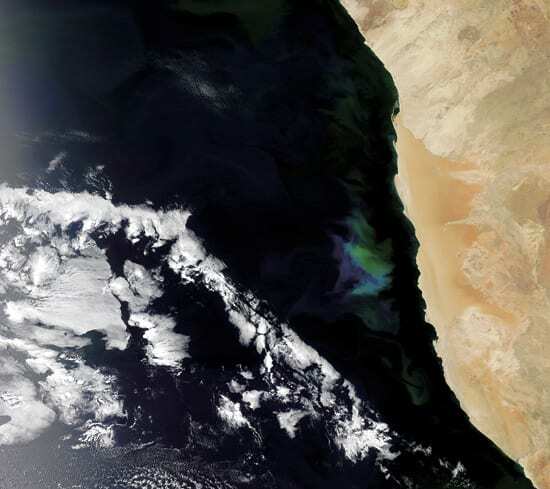 Will Ocean Iron Fertilization Work? Getting carbon into the ocean is one thing. Keeping it there is another. How Long Can the Ocean Slow Global Warming? Why Dump Iron in the Ocean?